This patriotic themed door chime was designed by Lurelle Guild for Edwards and Company in 1941. 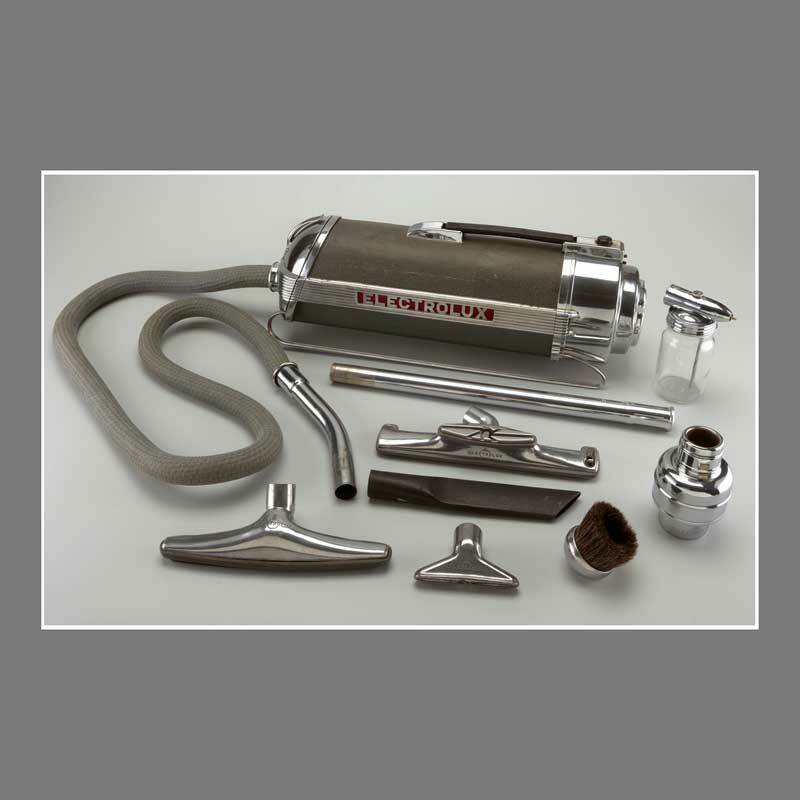 Edwards featured the Colonial in advertising with Irene Dunne “in her Hollywood home.” Mr. Guilds other designs include the iconic streamlined Electrolux Model 30 vacuum cleaner. 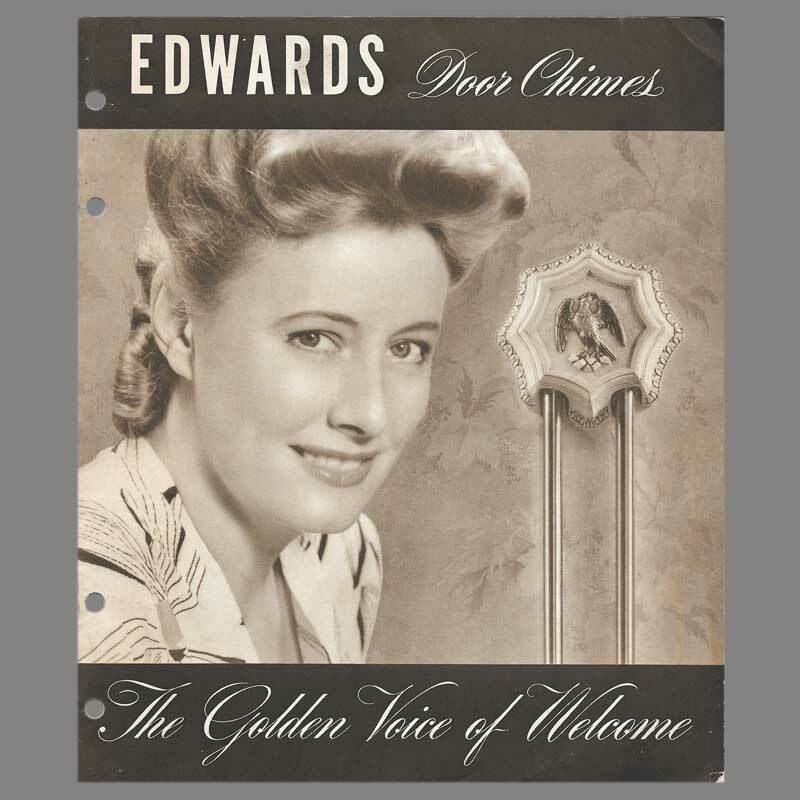 Edwards Chimes are styled by Lurelle Guild, one of America’s leading designers. 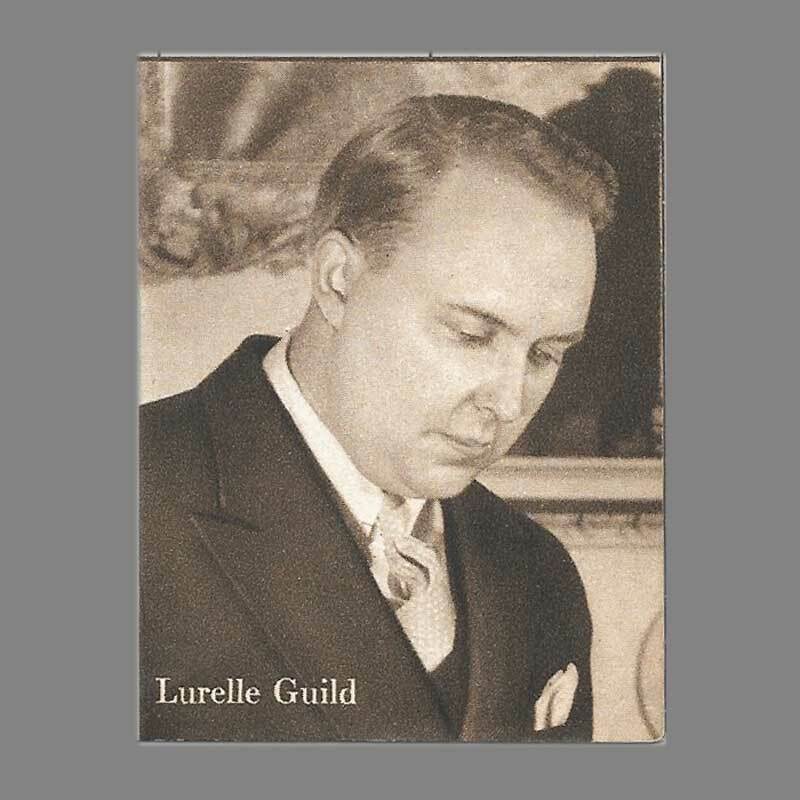 Equally at home with all periods, Mr. Guild has created a series of distinctive models to meet every smart decorating trend. The Ocatagons (Colonial, Early American, Dunchan Phyfe) are skillful interpretations of early craftmansship in this country. 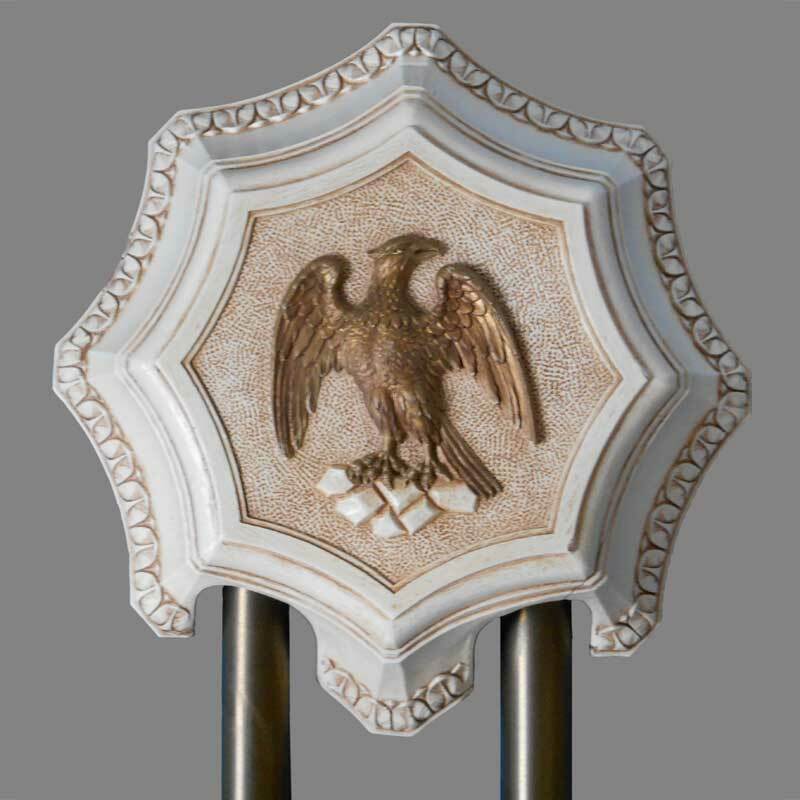 Their eagles are replicas of carvings made by that famous Revolutionary craftsman, Samuel McIntyre of Salem. Like many of the other door chimes in Edwards 1941 range, the Colonial’s cover was made of a composite wood material branded as Sylvite. Fashioned of Sylvite. 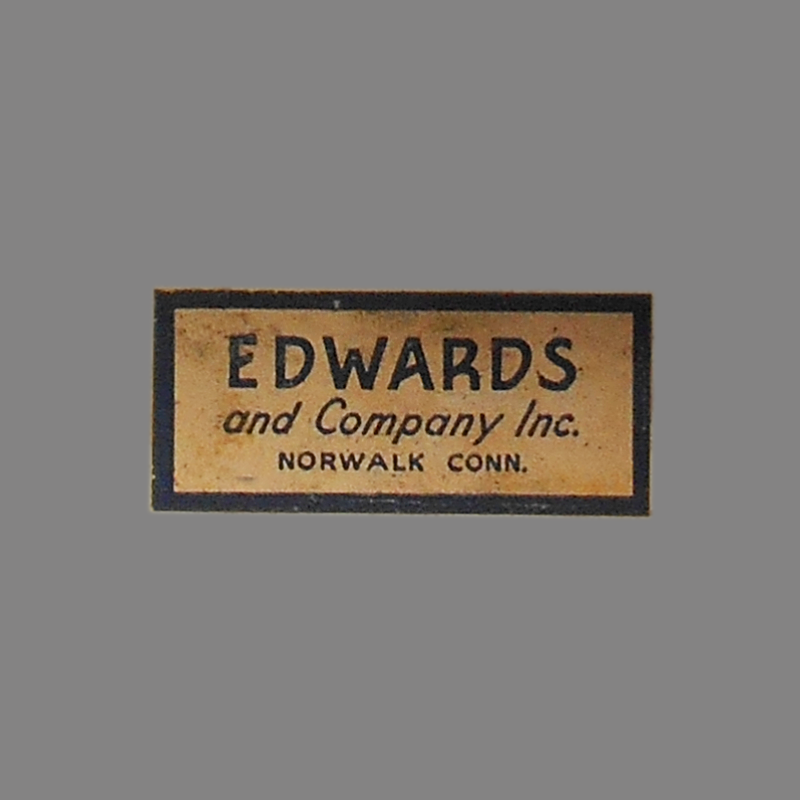 Edwards & Company has chosen this wonderfully durable composition wood for the new models. Sylvite is made in a wide variety of colors and finishes, and is the only material which accurately reproduces old wood carvings. 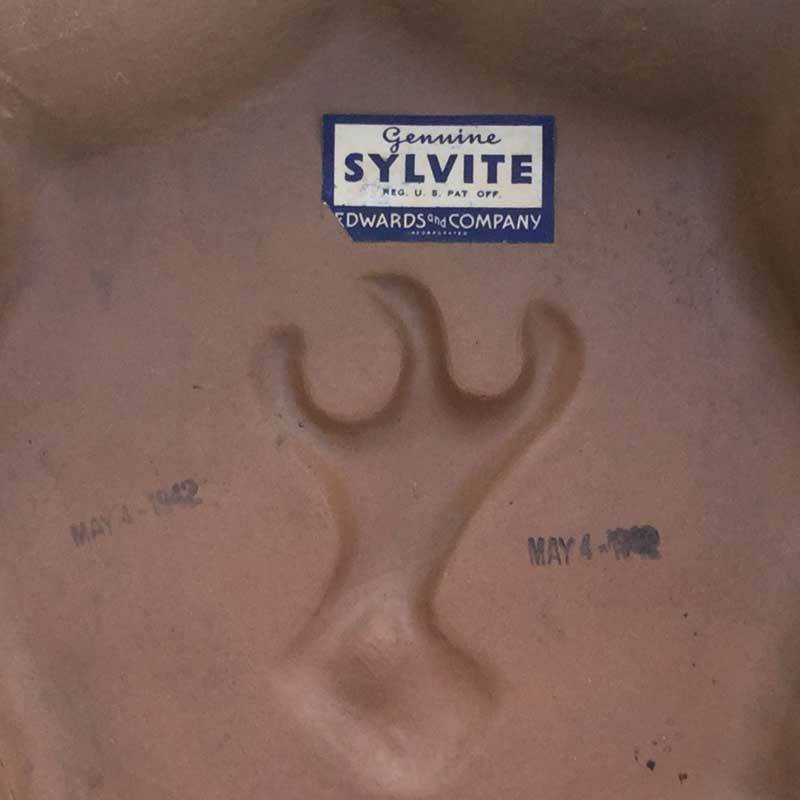 Sylvite did not appear after the war as plastic became the favored material for door chimes. 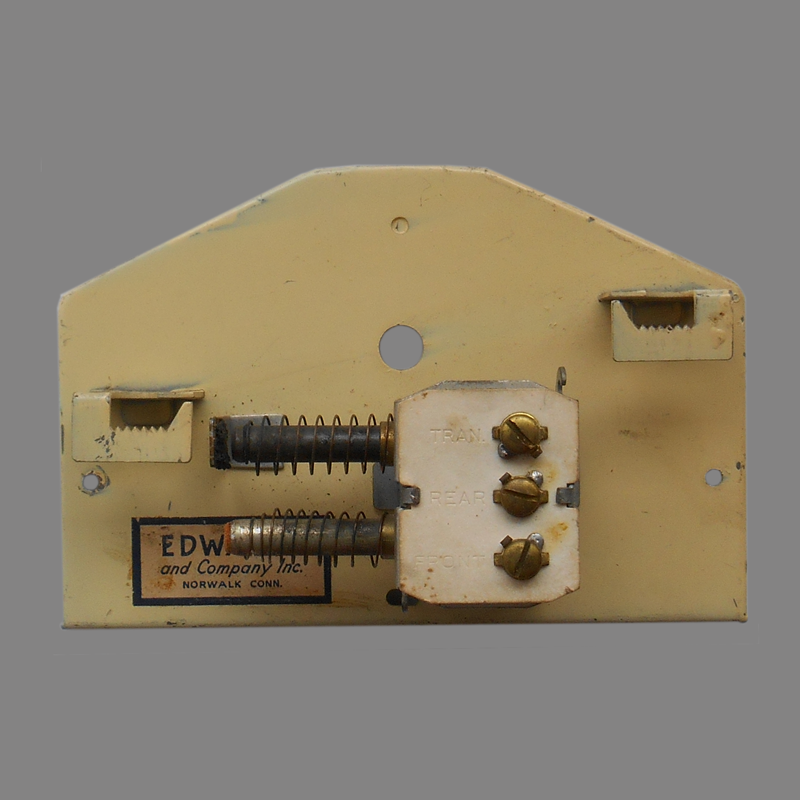 Another design element of this chime, and others from Edwards for many years, is the placement of the hanger for the shorter tube. Placing it higher than the longer bells’ hanger exaggerates the difference in length. This example is dated May, 4, 1942 approximately five months after the United States’ entry into World War 2. It’s likely this is one of the last door chimes produced before Edwards turned their facilities toward war production. 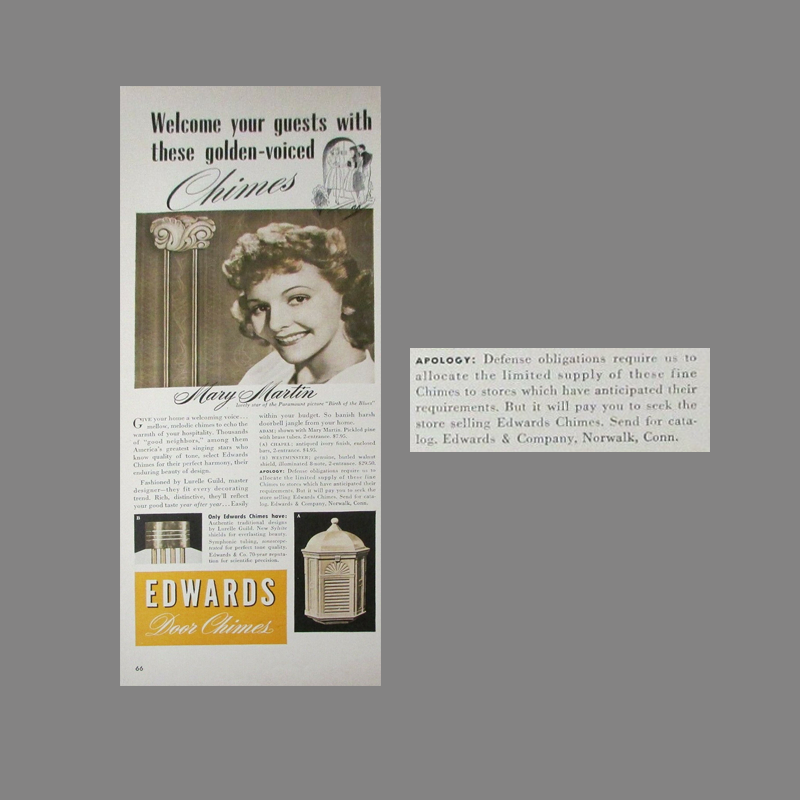 A period ad confirms that Edwards was “rationing” door chimes at some retailers and apologizing for the shortage. Dimensions/specifications 48 inches tall, 10 3/4 inches wide, 3 inches deep.